持ち込みの場合の条件：※駅前通路に「サイクルラック」を設置しています。/ Bike stand (outside) Cycle rack is available. JR松山駅では、タブレット端末を介して、英語、中国語、ハングル語、タイ語、ロシア語が対応できます。/ We use a tablet PC translator in English, Chinese, Korean, Thai and Russian. We are Shikoku Japan Railway company. We run trains, JR buses, Kiyosuku and restaurants. 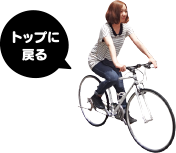 We have “limited express Uwakai” which has a cycle room. You can bring your bikes into the train without bike parts off. It’s required pre booking. Free Wi-Fi is available in JR Matsuyama station.